Freshmen in SEAS can consider supplementing their degree with a sustainability or statistics minor. Many freshmen arrive on campus with a plan for their major, but you’ll also have freedom in your schedule to deviate from that plan and add a minor you never expected. College is a time to explore. Regardless of the school you call home, there are ample opportunities to discover a new interest and add a minor within or across different schools. Even if you think your schedule is set, check out these minors to weigh a different path before you’re bogged down with course requirements and an approaching graduation date. With more than 50 majors and 60 minors, there’s a panoply of options for students who are in CCAS, like most incoming freshmen. With majors and minors ranging from writing intensive to lab heavy, you’re sure to find the right track for you in this eclectic school. If you came to school in the District because of a love for the law and an interest in government, CCAS’ law and society minor might be for you. The 18-credit minor, which is housed in the sociology department, includes coursework in areas like political science, history and even public health, giving students a wide variety of ways to complete the minor, so you may fulfill some requirements without even intending to. There are two foundational classes required for the minor, Sociology of Law, and Equality and the Law, but students can choose from more than 15 courses to complete the minor’s remaining requirements, with courses like Race, Gender and Law, Sexuality and Law, Health Law or U.S. Constitutional History. While SMPA only offers two main majors, journalism and mass communication, and political communication, budding journalists can broaden their skillsets by adding a minor in CCAS. If you’re thinking of a career in journalism, consider a history minor. As you hone your reading and writing skills while learning about historically significant events, you can think of it as context for future reporting. Minors are required to take one introductory history class, like Introduction to American History, in addition to five upper-level courses. If you plan on staying in D.C. and going into a career in political reporting, a minor in political science could be the perfect fit. In addition to taking three introductory courses, take classes in areas you might be reporting on one day, like Judicial Politics or The American Presidency. 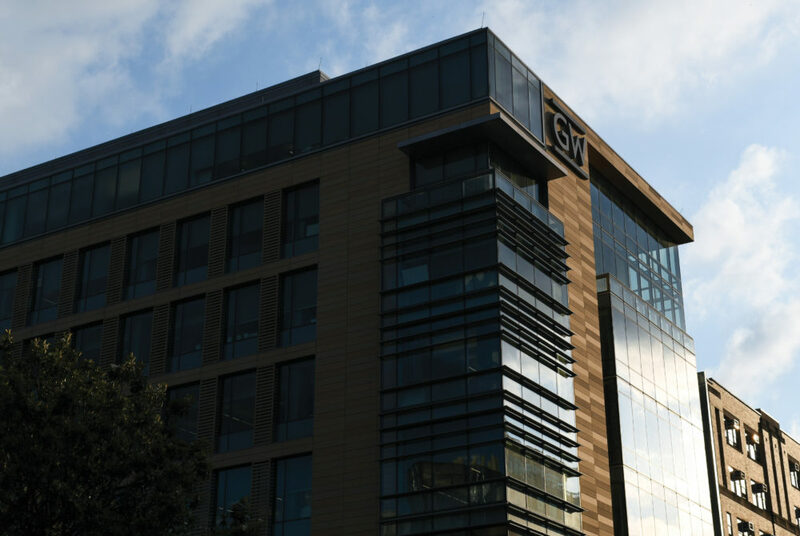 For freshmen in SEAS majoring in biomedical engineering or computer science, consider supplementing your scientific studies with GW’s popular sustainability minor. Students will learn about sustainable practices, along with how to develop solutions to environmental problems in courses like Climate Change and Policy, and The Sustainable City, which they can pair with their engineering degree for a future career. Students who prefer math to science can take advantage of a statistics minor, in which they will learn statistical concepts and arguments, which could condition you for the myriad of consulting and data analytics jobs offered in D.C.
Coursework for the minor includes selecting one introductory statistics course like Statistics for the Biological Sciences, as well as classes like Regression Analysis, and upper-level electives like Applied Time Series Analysis or Nonparametric Statistics Inference. Elliott students learn about problems around the world, so it definitely helps to know where these conflicts can be found on a map. The geography department offers a popular minor in geographic information systems, which allows students to analyze spatial and visual data while weaving in basic cartography skills before seeing the globe firsthand. Students minoring in GIS are required to take four core courses such as Introduction to Cartography and GIS, and Intermediate Geographic Information Systems. In addition, students can choose from several electives that apply to digital mapmaking and technology. If you’re looking to explore areas outside of the School of Business that can also benefit your major, an SMPA minor might be a good fit. If you’re a marketing major in the business school, a journalism and mass communication minor will translate your written skills to spoken gold. With courses like Introduction to News Writing and Reporting, Feature Writing, and Editorial and Persuasive Writing, business students can build writing skills that will help them effectively build much-needed communication skills in their future marketing or understand the journalist’s perspective for a public relations career. If you’re headed toward a more numbers-based business track like accounting, an economics minor in CCAS may be the right choice for you. With an economics minor, you’ll get the lowdown on world markets through introductory courses, while also combining knowledge of business with economics in courses like Introduction to Business and Economic Statistics. If nothing else, your parents will be really impressed by all that money attached to your degree.